Purchase this product now and earn 2,795 Reward Points! The easiest way to give yourself a sunny day from the inside out! 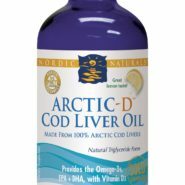 Nordic Naturals Arctic-D Cod Liver Oil is like liquid sunshine for your body. That’s because it’s full of vitamin D, which primarily comes from sunshine. And like the sun, Arctic-D supports a variety of important body functions. Arctic-D has the highest level of omega-3 per milligram (mg) of any cod liver oil and is 3 times fresher than the competition! 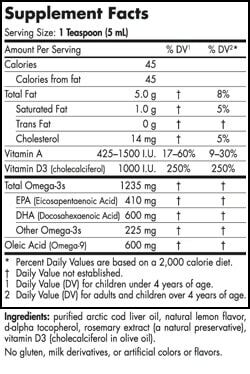 Promotes normal brain development and visual function. 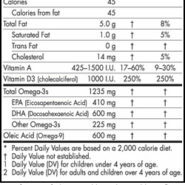 Increases DHA level in active kids. Enhances learning and achievement. Supports positive mood, menstrual pain, and healthy skin. 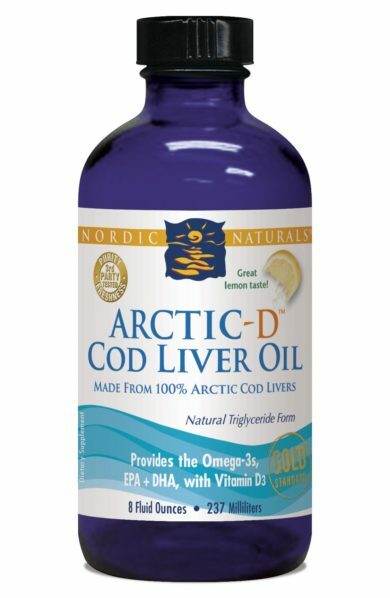 Recommended for cardiovascular health, improved blood viscosity, joint mobility, flexibility, and memory function. Revolutionary Freshness level and Purity unprecedented in the United States!